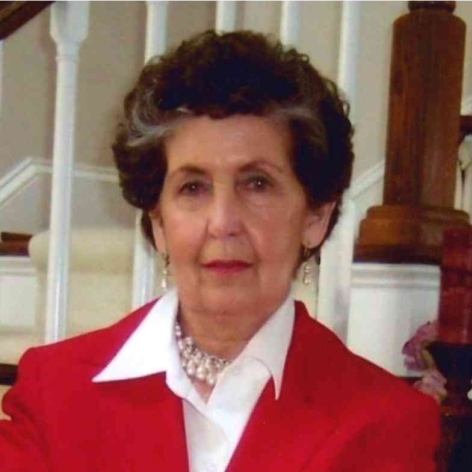 Ilene Harding McInroy, age 87, of Signal Mountain, went to be with her Lord Sunday, September 2, 2018. Although born in Oklahoma City, Oklahoma in 1931, she spent most of her life in Chattanooga. She grew up in East Chattanooga with four sisters. Mrs. McInroy was preceded in death by her father, David Cables; her mother, Lura Johnson; sisters, Mildred McCurdy and Francis (Tiny) Ruiz; Sherry’s husband, Gary Hutton and her son Garry Dean Harding. Those left to cherish her memory include her loving and caring husband of 35 years, Kent McInroy; two children, Dan Burkhart (Bonna) and Sherry Hutton; five grandchildren, Chris Burkhart (Kim), Clint Stanfield (Jennifer), Amanda Newell (Alan), Kyle Hutton and Brian Hutton (Kristy); seven great-grandchildren, Gabrielle, Avery, Camryn, Lillian, Alyssa, Brylee and Karson; sisters, Barbara Fox and Carolyn Borders. several nieces, nephews and host of friends and loved ones. She was, without a doubt, the Matriarch of her loving and caring family, of which she was most proud. Proverbs 31:28 Her children rise up and called her blessed, her husband also, and he praises her. Ilene worked 35 years for the 3M Company, working many jobs, shifts and serving as an officer in the union. Kent and Ilene volunteered for Hospice of Chattanooga for eight years. She has been a member of Red Bank Baptist Church for 20 years and in the Hall Sunday School class where she was the Secretary for many years. Her husband for the last 35 years is a Yankee and he took her off to live in Wisconsin and the Bay area of California for 11 years, before finally bringing her back home to her family and settling on Signal Mountain in 1995. The family will receive friends 4pm – 8pm Thursday and 1pm – 2pm Friday at Lane Funeral Home on Ashland Terrace. The Funeral Service will be 2pm Friday in the Chapel with the Hall Sunday School Class serving as Honorary Pallbearers. The interment will follow at Hamilton Memorial Gardens.